Songkran Festival, popularly known as the Water Festival, is a centuries-old tradition which marks the beginning of the Thai New Year. Traditionally celebrated within families and communities, its focus was on strengthening religious practice. Water was used as a symbol of respect in numerous rituals, such as bathing Buddha statues, paying homage to ancestors, and paying respect to elders. However, in recent years, the Songkran celebration has evolved into a holiday period, attracting throngs of visitors from around the world. Though the splashing of water defines all Songkran festivities, celebrations in each locality have their own charmingly unique characteristics, making the traditional Thai New Year a fascinating and varied experience. 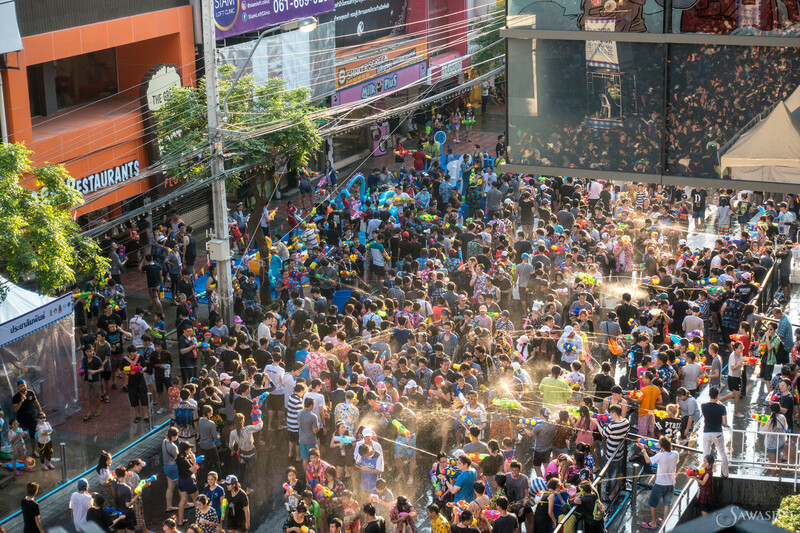 The pictures of young people having an all-out water fight on Khao Sarn Road during Songkran festival may be familiar, but there is actually much more to appreciate during Bangkok’s Songkran. Under the slogan ‘Thai Heritage, Thai Way of Life’, the festival boasts an impressive array of activities, such as bathing the highly-revered Phra Phuttha Sihing Buddha statue at Sanam Luang, merit-making and sculpting sand pagodas at temples across Bangkok, Thai New Year prayer ceremonies at 14 temples, and boat trips to pay respect to the Buddha at temples along the Chao Praya River. These attractions reflect the essence of Songkran and the Thai way of happiness. (Wan Park Duan), scented water is sprinkled on pagodas and rites to dispel bad luck are performed. 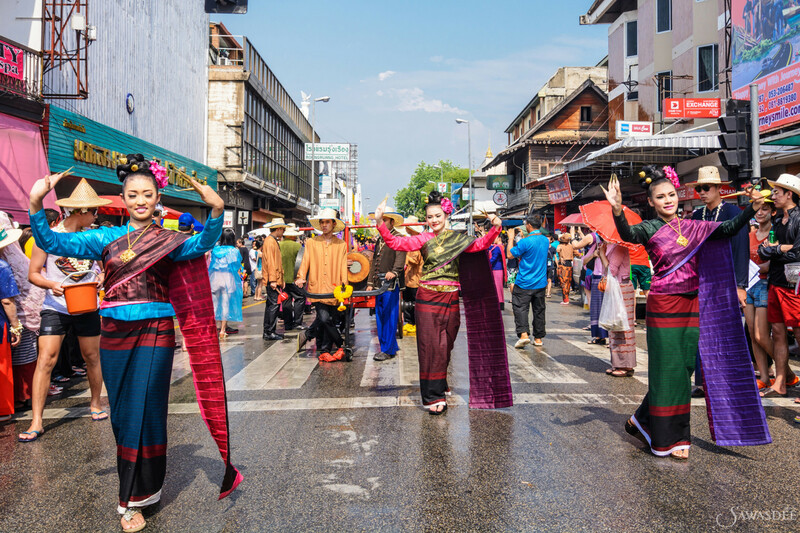 Alongside these beautiful traditions, the highlight of the Water Festival takes place around the moat, Thapae Gate and Kad Suan Kaew bringing visitors back time after time—to get drenched! Songkran Festival on the Pearl of Andaman is arguably both the most beautiful and the most fun, with its unrivalled line up of activities across the island throughout the week-long celebrations. At Wat Kiriwong and Patong Beach, there is a ceremony of bathing Phra Phuttha Sihing, and also cultural performances, such as traditional folk dances. At Kata Beach, the procession of a Buddha image leads from Wat Kata to Kata Road where merit-making and water sprinkling ceremonies are held, along with free health check-ups for the elderly. In other merit-making ceremonies,n fish and turtles are released at Phuket’s beaches and from late afternoon of 13th April, many clubs, particulary at Patong Beach, host water fights for younger revelers to celebrate the Thai New Year. 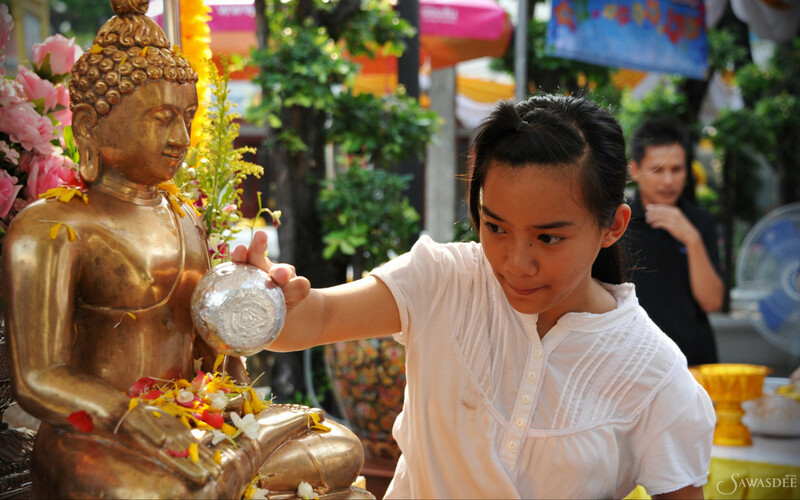 As in many other provinces, Songkran on Samui Island is celebrated by making merit. sprinkling scented water on Buddha images, and anointing older relatives and friends to show respect and for their blessing. Water fights are held on 12th and 13th April on Chawaeng and Lamai Beaches and only on 13th April elsewhere, to save water. This does not make Songkran on Samui Island any less fun, though, as the beach is still lively and crowded with holiday makers. 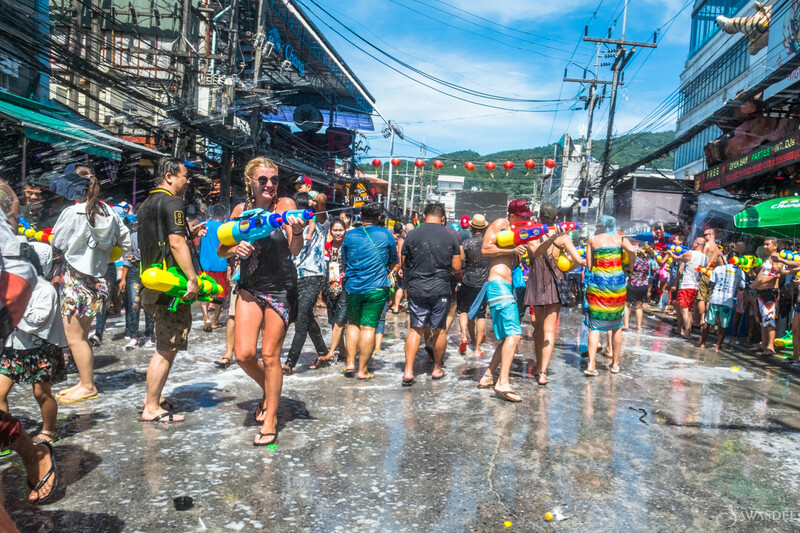 Songkran in Pattaya is unique. Referred to as Wan Lai or Flowing Day, unlike elsewhere in the country, it is held on 19th April. The celebration actually starts on 18th April with a number of activities, such as ceremonies for merit-making and bathing Buddha images and elders, and parades of flowers held at Lan Pho, Na Klua. On 19th April, the Beach Road is closed from 08.00 to 20.00 for the Thai New Year celebration. Both locals and guests can sprinkle scented water on the Buddha image in the procession and splash water on each other to symbolise forgetting bad things that have happened in the past and welcoming the coming year. 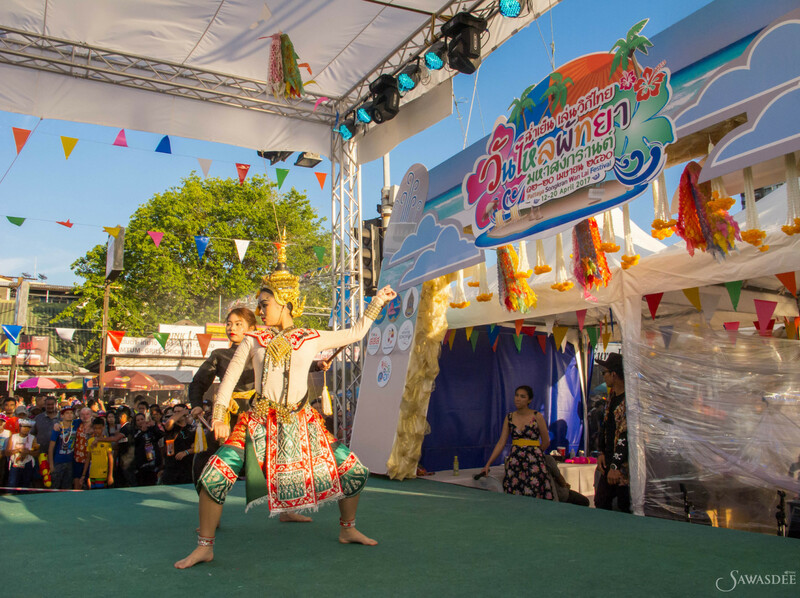 There are also traditional dances, folk performances and other cultural shows by the beach for everyone to enjoy happiness Thai style.